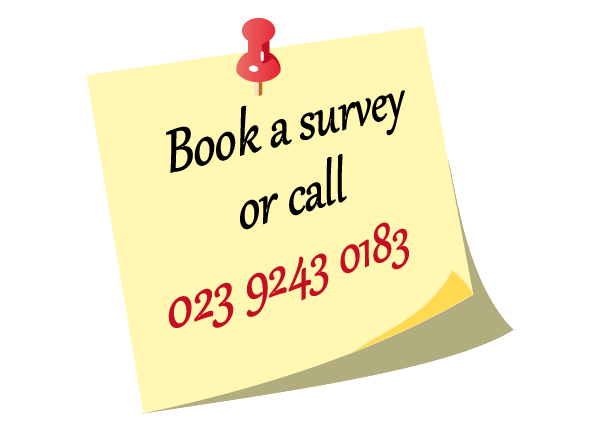 What is a brick lintel repair? Lintel repairs utilise parallel lengths of high-tensile helical bars bonded into specified mortar bed joints above openings to form brick lintels by creating reinforced beams using the existing masonry. These brick beam lintels can also be used to span areas of localised foundation movement. Diagonal cracks in the brickwork above windows and patio doors, sagging arches and dropped soldier courses are all indications that brick arch and soldier course lintels have failed and are struggling to carry the load. Older buildings will have had robust timber frames that fortuitously helped to support the brickwork. In many properties these frames have been replaced with uPVC, resulting in inadequate support contribution. How does a reinforced brick beam lintel work? 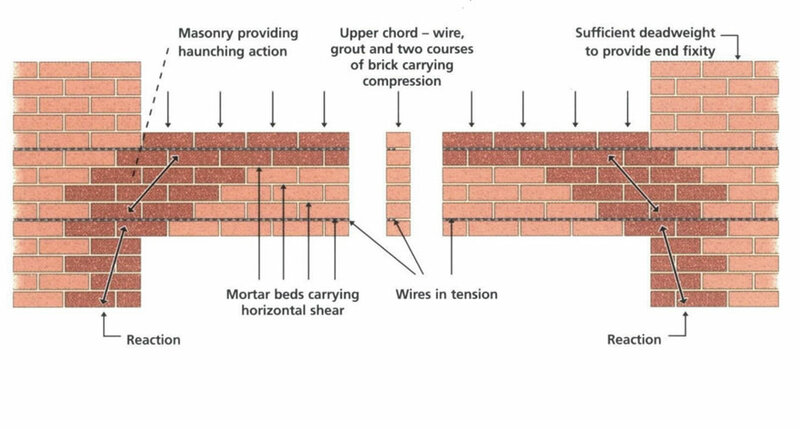 When a pair of helical bars are bonded into two separate bed joints the composite chord of each set of bars, grout and the two brick courses either side of the bars form the upper and lower flanges of a masonry brick beam or lintel; much the same as the top and bottom flanges of an H-Beam. The brickwork between each chord represents the web of the beam. Provided there is sufficient deadweight at the end of the beam the lintel can be used to span openings up to 3.6m wide, carrying its own weight plus a safety-factored load of 2.6 tonne.